Trans Tank International (TTi) is a family owned business which has been providing rotationally moulded liquid cartage products to the market for over 16 years. The TTi sales office and factory is located in the small town of Nathalia, a 35 minute drive northwest of Shepparton, Victoria. 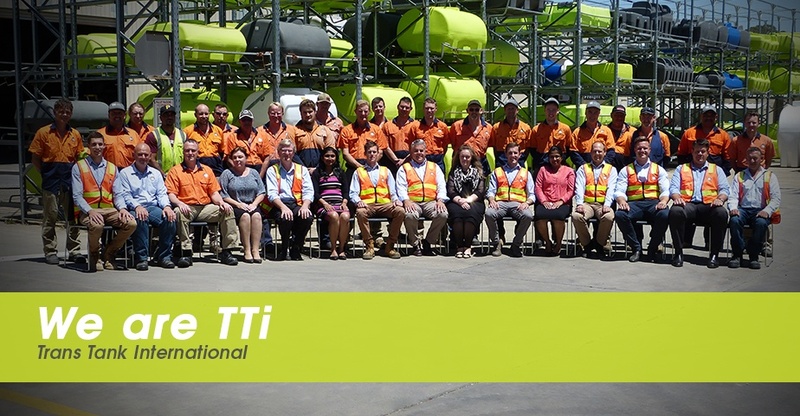 TTi is one of the largest employers in Nathalia, with over 40 staff currently employed from the town and surrounding areas – and we’re constantly growing! TTi values personal development, and provides employees with training opportunities throughout the year. Overall, TTi seeks an atmosphere where all staff feel valued, a part of the team, and respected. At TTi, we are excited about growth, and are proud of our continual improvement and progression. With a very strong existing dealer network in VIC, SA and TAS. 2015 and 2016 have been years for substantial growth into the rest of Australia. We now have established dealers in WA, NSW, NT and QLD. We are so excited about the potential for growth in these areas that we have employed a designated NSW and QLD salesman – based in the area, for the area. C – Care – In everything that we do, we care about the end result. R – Respect – We respect one another, always. I – Innovate – Change is a part of us, we lead the pack when it comes to innovation. S – Sincere – We say what we mean, and mean what we say. P – Passion – We are passionate and determined. Our mission is to “keep it simple” – this thinking drives everything that we do. We aim to provide the very best products to the agricultural and civil markets, as well as being the most forward, innovative and technologically developed manufacturer of rotationally moulded tanks and trailers in Australia.